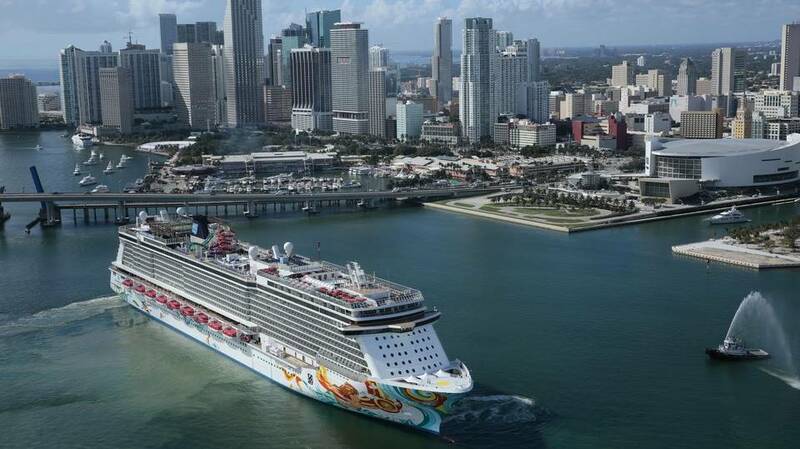 A crew member fell overboard from a Norwegian Cruise Line near Cuba Saturday and was found 22 hours later by another cruise ship. A Carnival Cruise Line ship found the crew member floating in the ocean nearly a full day after he fell overboard from the Norwegian Cruise ship he worked on. Christine Duffy, president of Carnival Cruise Line said, "This is nothing short of miraculous. Kudos to the Carnival Glory team for this amazing effort to rescue a fellow seafarer." The Norwegian Getaway was 28 miles northwest of Pinar del Rio when the ship alerted the U.S. Coast Guard that a crew member went overboard. The cruise ship told the U.S. Coast Guard a 33-year-old crew member was seen going overboard. The U.S. Coast Guard sent an HC-144 Ocean Sentry plane out of Miami to search for the crew member 10 minutes later. Miraculously, the crew member was found alive around 1 p.m. Sunday about 21 miles north of Cuba. He was in stable condition when he was found by the Carnival Glory, a cruise ship that left Miami Saturday. The crew member was spotted by a Glory hotel steward who saw them floating in the water. The Norwegian cruise ship Getaway left Miami June 24 for an eight-day cruise and returned to Florida on Sunday. The Carnival cruise ship Glory resumed its seven-day cruise to Cozumel. A spokesperson for Norwegian Cruise Line issued a statement saying, "We are so happy to know that the individual is safe and will soon be reunited with friends and family. We are also extremely grateful to Carnival Cruise Line and send our deepest thanks to the crew of Carnival Glory." The crew members on Carnival Glory who aided in the rescue of the overboard sailor. From left to right: Security Guard Ramon Morales; Assistant Stateroom Steward Ni Puti Kharisma Dew Wiryanari; Assistance Chief Security Rishu Thapa; Playlist Dancer Karleigh Wright; Assistant Shore Excursion Manager Maja Krstic; Captain Pero Grubješić; Safety Officer Cesare Mattera and Security Guard Irma Caldino Mariscotes.